Twenty years ago, at the height of turntablism, the average DJ had to lug around a lot of equipment. Turntables, a DJ mixer, a microphone, PA monitors and numerous accessories – extra needle and cartridge, slip mats, cables, etc. – often weighed well over 100 lbs. On top of all this, a DJ typically carried a messenger bag filled with around 50 records. With the advent of the MP3, a DJ’s burden began to weigh much less. Meant for hobbyists and beginners, all-in-one interfaces like the DDJ-WeGo2 from Pioneer take all of the previously mentioned gear and melt them down into a single, contained, three-and-a-half pound unit. It’s meant for use with your iOS device, so any amateur can become a party starter. 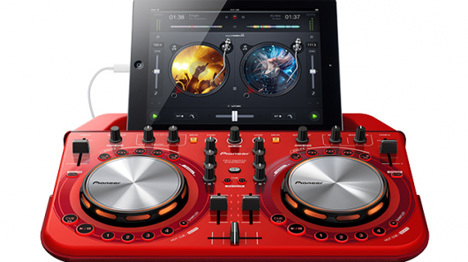 All of the standard features of a classic DJ setup are included in the DDJ-WeGo2. 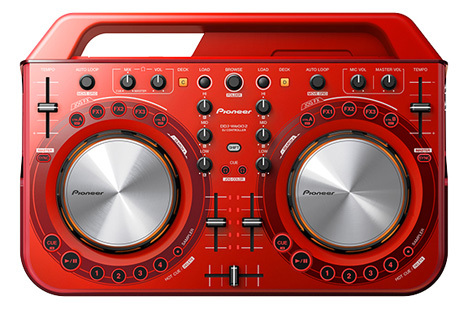 The crossfader and EQ knobs are flanked by two jog wheels which replace the turntables – right down to the scratching. Other standard features like a cue button and multiple effects are included as well. 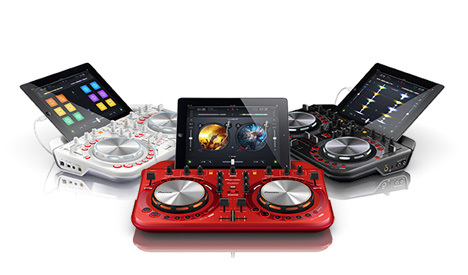 Now anyone with an iPhone and around $400 can become a master behind the wheels of steel.